If Snapchat is down, it can be tricky to tell whether it's down for everybody or something went wrong on your end. If it's just you, it could be your Snapchat account, your mobile device, your app, or even your internet connection. Before you jump to any conclusions, it's helpful to first rule out the possibility of Snapchat being down for everybody, or at least for a large number of people in and around your area. "Is Snapchat Down for Everybody? How Can I Be Sure?" There are two main ways you can check to confirm Snapchat is actually down for everybody and not just you. The first is the most official and reliable way. It involves reading through the most recent tweets of Snapchat's Support account on Twitter. Whenever there are issues affecting a large number of users, @snapchatsupport will update its Twitter followers about what's going on. For example, on July 11, 2018, @snapchatsupport tweeted, "We're aware many Snapchatters are experiencing crashing on the app. We're looking into it and working on a fix!" The second way involves looking at Down Detector, the most popular third-party site that tracks real-time issues and outages on a variety of services, including Snapchat. Navigate to DownDetector.com/Status/Snapchat in a web browser and look at the status bar directly beneath the service summary. If there are no problems, it should appear green with a No problems at Snapchat label. If there are problems, it should appear red with a Problems at Snapchat label. You can also use Down Detector to find out if Snapchat is down or experiencing issues in specific geographical areas. Select the black Live Outage Map button to see a heat map of where in the world issues with Snapchat are being reported. If you find a tweet from @snapchatsupport, a red bar on Down Detector, or a hot spot in your area on Down Detector's Live Outage Map, it's more than likely the problem is on Snapchat's end and there's nothing you can do but sit tight and wait for the issue to be resolved. "I'm Getting an Error Message! What Can I Do?" Different error messages mean different problems are most likely on your end. Here are the most common Snapchat errors you'll see. Snapchat's blocked network error message. If you're using a VPN, try turning it off. Try switching to a completely different network, such as your mobile data or a different Wi-Fi network. This error typically pops up when you're trying to use an unauthorized third-party app with Snapchat. Your best bet for resolving this is to uninstall any apps or plugins that use your Snapchat login information (username and password). Then you can return to the official Snapchat app and try logging in again. If you're using a third-party app or another service, uninstall it immediately. 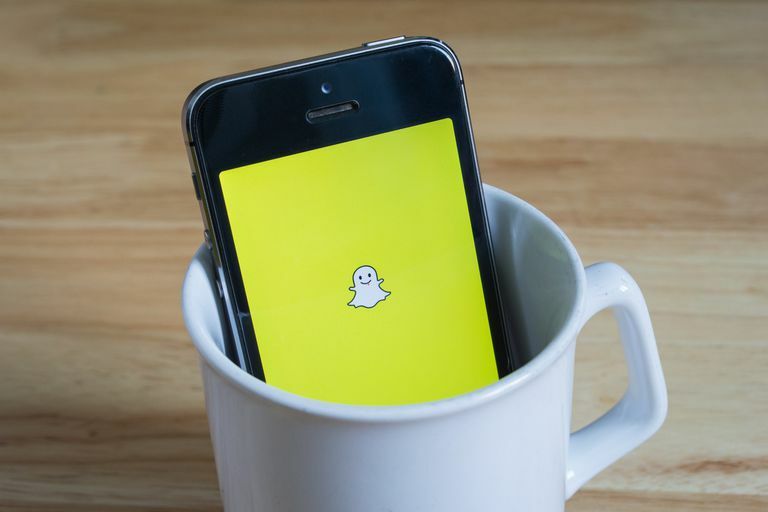 Snapchat accounts are often only locked temporarily, so you might need to wait 24 hours before trying to log in again. If your account remains locked after 24 hours, you can try unlocking your account. You'll need to sign into your account from a web browser, then select the yellow Unlock button. Are you using an Android device? Is your Android rooted? You might need to un-root your Android device. You might also need to re-sync your Google Account to your device. Do so by going to Settings > Accounts > Google, select your account, then tap the menu icon > Sync Now. Then you can uninstall the app and reinstall it. Are you using an iPhone, and if so, is your iPhone jailbroken? If you have certain tweaks installed on your jailbroken iPhone, you might need to uninstall them. Snapchat recommends disabling Cydia Substrate using the NoSub tweak, uninstalling the xCon tweak, and using a jailbroken iOS cleaner like iCleaner to help completely remove unauthorized apps after uninstalling them. "Snapchat expected 200 status, got 403"
If you see any of the above errors or something similar, your most promising option is to uninstall the Snapchat app from your device and reinstall it. See how to uninstall apps from your Android or how to uninstall apps from your iPhone for instructions. Once uninstalled, open the Google Play Store app or the App Store app, search for Snapchat and re-download it for a fresh installation. "The App Won't Open, Is Stuck Downloading or Keeps Crashing! What Can I Do?" Sometimes the problem is the app itself. The app might act up any time during or after installing it, updating it, or trying to access older versions. If the app seems to be stuck on installing or updating, try checking your internet connection or rebooting your device. If neither of those solutions work, try deleting the app through your iOS settings and reinstalling it again. Go to Settings > General > Storage & iCloud Usage > Manage Storage > Snapchat > Delete App. If the Snapchat app seems to have disappeared from your iPhone, first try searching for it in the App Store to confirm it's actually on your device. If it says that it's already downloaded but won't open when you tap Open, Snapchat recommends connecting your device to your computer and syncing the app with your iTunes account. If you're using an Android device and your Snapchat app won't open, finish downloading, or keeps crashing, try checking your internet connection or rebooting your device. If neither of those work, delete the app and reinstall it. You can also fix a stuck app installation/update by clearing the data from your Android settings so you can reinstall it again. "Snaps Aren't Sending or Loading! What Can I Do?" When snaps take longer than usual to send or fail to send, you might be dealing with a poor Wi-Fi or mobile data connection. The same applies when you tap to load a received snap and it never seems to get there. Your main options are to find a stronger connection by switching networks, experiment with ways to boost your Wi-Fi signal or contact your internet service provider for help. If you're in a location where no Wi-Fi networks are accessible, consider taking your device elsewhere to look for a stronger mobile data connection. "Nothing I Tried Worked! Now What?" If you tried as many of the solutions given above as you could and Snapchat still isn't working for you, try contacting Snapchat Support to get help from a support member. Select either My Snapchat isn't working or My account login to get problem-specific instructions for how to resolve the presumed issue. If your problem can't be resolved by following the given instructions, scroll down to the bottom of the instructions and look for "Need help with something else?" Select Yes to provide your username, email, phone number, device type, problem start date, file attachments, and any additional information. Select Send when you're done and wait patiently for someone from the support team to get in touch with you.